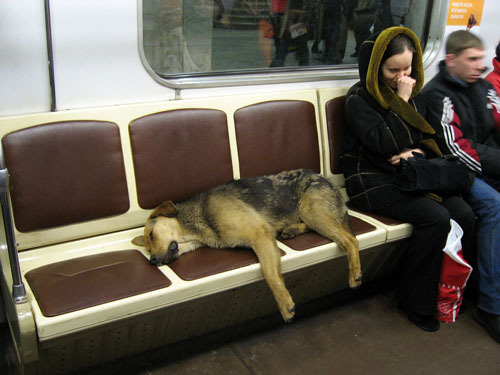 I started seeing articles about the stray dog population in Moscow and how they had learned to travel on the subway. It is interesting to consider how the dogs learned to navigate such a system and also to imagine yourself calmly coexisting with a huge population of urban stray dogs competing for your subway seat. It is not something I see DC commuters embracing. I can't honestly imagine it anywhere I've been on a subway (London, Paris, Mexico City, Boston, DC, San Francisco, etc.). But, it is accepted, even commemorated, in Moscow. 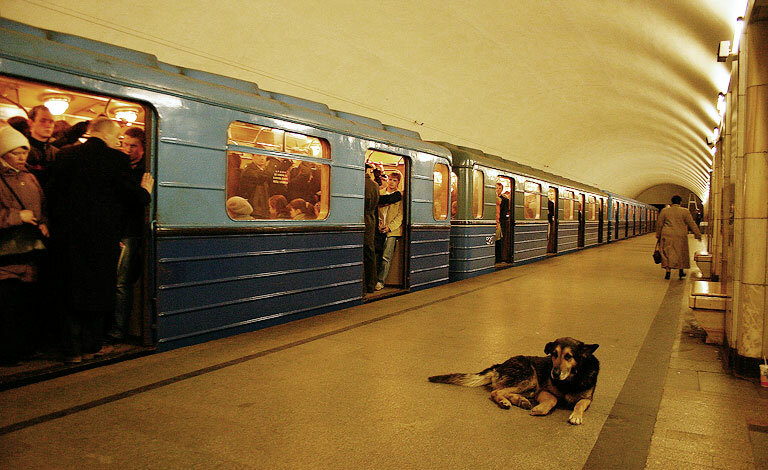 Moscow commuters can submit their subway dog photos to the website, www.metrodog.ru/. A new article goes into more detail about the whole stray dog phenomenon, in particular what is happening in these early stages of a shift from the domesticated back to the wild. Andrei Poyarkov, 56, a biologist specialising in wolves, is studying the strays. There are some interesting observations about pack leaders being the most intelligent rather than the strongest and how strays are reverting to a more natural state and losing certain traits like spotted coats.